Have you ever seen a group of people you wished you could join but you were a stranger, an outsider looking in? 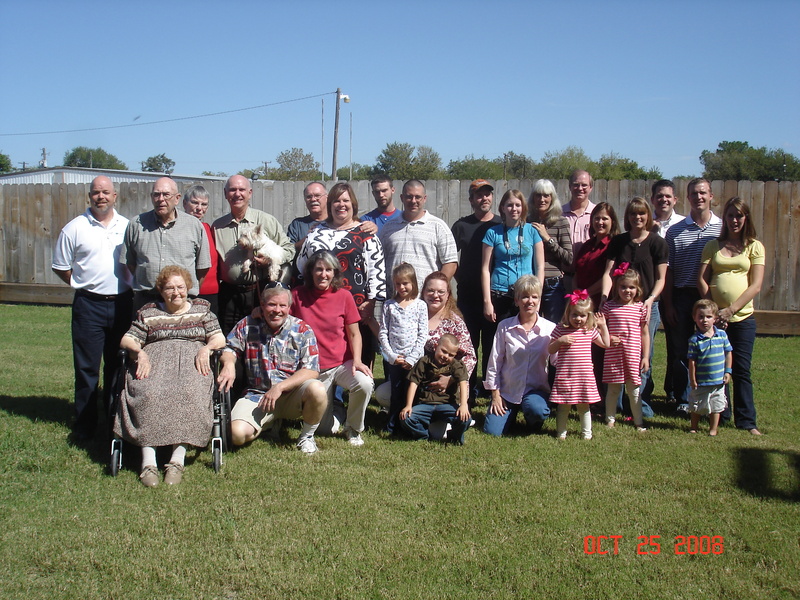 At my dad’s 80th birthday party, a good time was had by the family. I remember an American Christian Fiction Writers banquet held in Minneapolis (the one in Minnesota). A room divider separated our banquet from a wedding reception and dance. We had a great time on our side, but the other side of the curtain sounded like they had an even better time. Some writers and guests were tempted, after our party broke up, to join theirs. I want you to consider a community centered in Christ as being like a huge celebration, a large banquet, if you will. For one reason, Scripture uses banquets and weddings to symbolize our relationship to the King of kings and to one another. For a second reason, it helps me make the rest of my point. Okay, so if this idea of Christian community suggests one big party, what are we inviting others to experience? Why would folks want to come inside and join us? For the answer, I’d like us to think about what holds us together. As strange as it seems, our painful experiences actually draw us closer to one another. Just this week, I exchanged comments on Michael Hyatt’s blog with my friend Kelly. In the exchange, she wrote of growing up with an alcoholic mother. I responded with my own experience of growing up with a mother who battled alcoholism. In two short statements, we connected through our common painful experiences. We have a common hope. To be honest, I don’t want to tell a person bad news and I don’t want to hear bad news. A few years ago, my hands broke out with a terrible rash. I put lotion on them and things only got worse. They itched, cracked, bled, and oozed (isn’t that a lovely picture?). After a few weeks of misery, I made an appointment with a dermatologist. She told me I had eczema and the disease was incurable. For me, this wasn’t just an inconvenience or an irritation. The news crushed me. Because my grandfather had eczema so bad he’d scratch until he opened up sores. His entire body from scalp to heel was tattooed with scrapes and scabs. He was bedridden, and I associated that fact with his skin condition. When the dermatologist diagnosed eczema, she delivered awful news. Incurable (bad news) but manageable (buffered by hope). We know the bad news. “There is none righteous, no, not even one.” We know the just penalty for our unrighteous choices—eternal death, damned to hell. We have a common hope in Him. That hope cements our hearts to God and one another. When we expose our wounded souls and discover hope in the midst of our pain, we move toward wholeness. We are forgiven and we forgive. Once broken, our hearts mend. The journey from pain to hope to wholeness is, at times, difficult. But that ultimately is what we invite others to experience through a community centered in Jesus Christ. I’m curious. As a believer in Christ, what do you think we’re inviting people to experience? Do you have your own bad news story lined with hope? 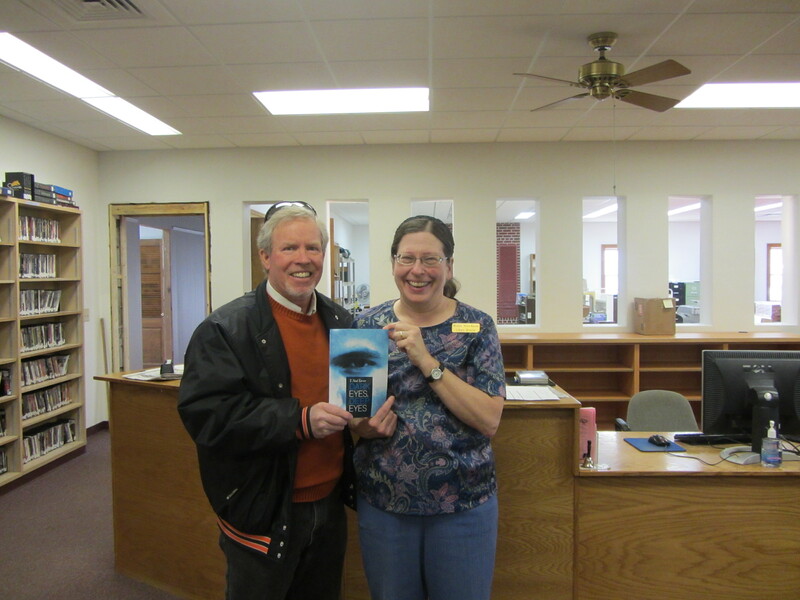 “Dark Eyes, Deep Eyes” goes to the library as book tours city sites. This entry was posted in Community and tagged ACFW, American Christian Fiction Writers, Chris Patton, Christian community, Donald Miller, Healing, hope, Hurt. Bookmark the permalink. 8 Responses to When We Invite People Into Community, What Are We Wanting Them to Experience? My hope is that we are inviting them to fellowship. Jesus was all about fellowship, and we should be too. My own bad news story lined with hope is one of chronic depression most of my life. The hope of deliverance literally kept me alive. I am happy to say I have found victory over this, but scars still remain as do struggles, both from my actions and through what others did and didn’t do related to my struggle. Yet in all of this, fellowship with Christ and other Christians has grown deeper and stronger. Struggles have turned to victories. I appreciate your transparency, Kari. You exemplify both the reality of human frailty (we all struggle somewhere) and the hope we have in Christ. Thanks. We are inviting them into a loving community, to live out and experience “Love God with all your heart, soul, mind and strength” and “love your neighbor (others) as yourself”. The Wedding reception was more fun because they knew each other for a while and not just people with a common interest becoming acquaintances. When we begin to see that a personal relationship with Jesus is not a private relationship (just God and me), but a community experience, then we begin to experience love that reflects devotion and commitment more then emotion. Deep emotion feels good at times for a moment, deep devotion goes the distance for a lifetime. Good thoughts, Richard. Deep emotion vs. deep devotion, interesting thought. I think the former hooks into our past (we respond with deep emotion based on past experiences) while the latter hooks into our future (we choose to remain constant no matter how we feel). you keep revealing things about yourself every time I read. I have experienced hurt, and hope, and healing….and yes, the answer is a CHRIST centered community. Sadly many churches are filled with people who have not yet experienced this and so they do not provide that kind of relationship. Too many churches could use a good dose of CHRIST’s love and grace for those who wish they could find Christ’s love and hope and healing and instead find judgemental attitudes and prejudices and it is our way or no way attitudes. So I pray that those who have experienced Christ’s love and grace and forgiveness will share it, every day, every where they go. May HIS love shine through all of us as we find our way through the struggles of this life and look forward to eternity with Him. keep writing! Dark Eyes Deep Eyes is amazing! I think, Mary, it’s our fear of sharing hurt that hides the church’s greatest asset, our hope in Jesus Christ. And I think many church cultures encourage a “we’re-all-fine-here” mentality. We all know it’s not true but we’re afraid to be the first to admit the truth. That’s why it’s refreshing to find faith communities where we can rejoice in His grace while admitting we need the grace in which we rejoice.